Many people flock to Florida in the USA each year to scuba dive the amazing waters in hope for big animals, amazing corals and an inspirational scuba community. 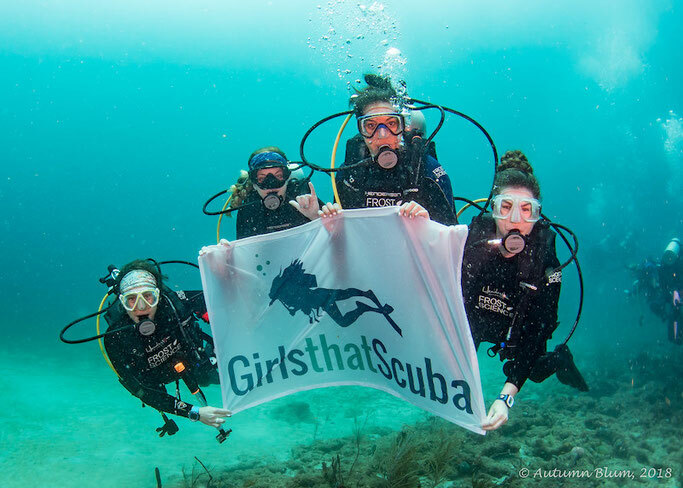 We ask some of our GTS members about diving in Florida, where and who they recommend. The Florida Keys has numerous dive sites to choose from! From reefs alive with fish to wrecks that challenge your skills, the Florida Keys has it all. USNS Vandenberg Wreck is the best dive in the Keys, bar none. This is the 2nd largest artificial reef in the world! No other wreck is as big, offers as much, or has as many swim-throughs as it was sunk specifically with scuba divers in mind. The deck rests at 100 feet and the ship sits in 160 feet of sand. Sunk on May 27, 2009, this wreck was cleaned & sunk for divers ten years ago, but has acquired a nice coral coverage. From occasional Whale Sharks, to bull sharks, turtles, schooling fish, eels, mantis shrimp and even nudibranchs, this wreck has it all. Five-hundred and thirty (530) feet long with a seventy (70) foot beam, two dives will never satisfy you. Advanced Certification recommended, but if you hire a guide, you can dive this wreck as an Open Water diver. The USS Spiegel Grove a massive ship (the wreck has 7 mooring balls on it) and stretches 510 feet from bow to stern and 84 feet across the beam. It rests in 135 feet of water, and divers hit the superstructure at about 65 feet. The main deck is at 85-90 feet. That makes this an advanced dive and current can be strong. There are plenty of swim-through passages, but penetrating the wreck is dangerous. Almost all the commercial charters go out to the Spiegel and it is about 5 nautical miles offshore. Local hint: Look for the “Spiegel Beagle” emblem—Snoopy riding an alligator—painted on the floor in one of the interior swim-throughs. has begun the process of replanting Staghorn and Elkhorn corals, and you can even spot small amounts of Pillar Coral in patches. Below are visuals of the most popular reef spots in Key West. We have 5 dive centres in Florida offering GTS discount card holders 10% off diving with them. Sign up here before you book. DO NOT miss out on the beach dives South Florida has to offer! Blue Heron Bridge/Phil Foster Park, Riviera Beach – one of the best. Hire a local guide to help you find some macro critters. Not just for macro lovers, eagle rays, manatees and even sharks are sighted here! If you are diving on the weekend make sure to get there AT LEAST two hours before high tide. Parking gets insane- this is not just a diving beach, people come to paddleboard and hang out. My advice is bring a snack, go a few hours early, relax by the beach and then get in an hour before high tide. This is also not a place to leave your car unlocked or have valuables insight. Hope your buoyancy is on par ! Take a buoyancy class before you get in b/c there are lots of fragile corals in this shallow area. Pompano Dive Center, Pompano Beach - tech diving, open water, reef and wrecks. Parrot Island, Pompano Beach- friendly crew, reefs. 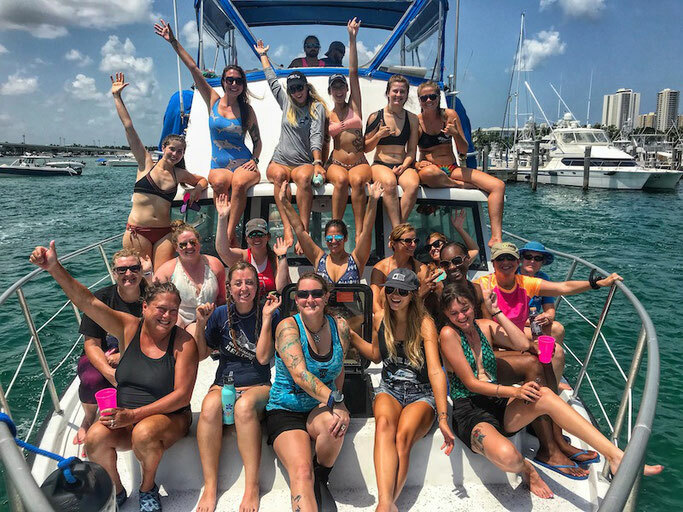 Diveboat Diversity Boca Raton – majority, if not all dives are drift dives over the reef, Captain can drop you on the 2nd or 3rd reef depending on how deep you want to go. 12 person boat. Tip: if you go on a Saturday one client often brings homemade Cubanos and a fancy fruit tray, otherwise it’s usually peanut butter crackers and fruit juice. Pura Vida Divers West Palm Beach - tech diving, open water, reef and wrecks. They have two boats so lots of options. They also take divers out on the newly popular “blackwater” dives. 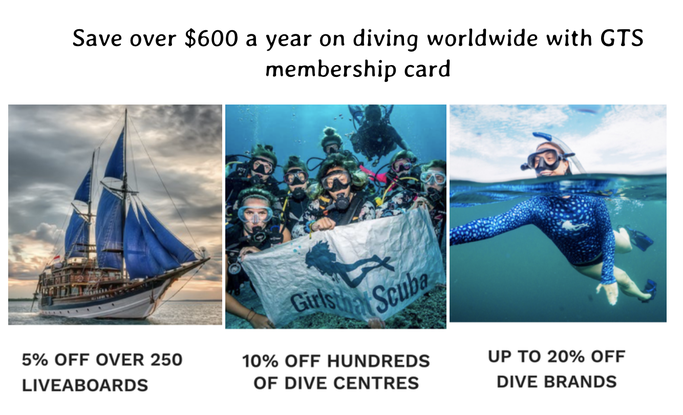 Again, don't forget to sign up to our discount card before you book any diving and save hundreds each year! *Note: since there are a lot of locals that dive often, none of the prices you see on websites for diving in Broward/Palm Beach include tanks. Most places in the Keys tanks seem to be included in the price. The joy about diving in Florida is it is in season year round! You will be fine with a 3mm (or no wetsuit) during the warmer months (water temp in the 80s (F) / 25 (C)) late March - November. December through February/March temperatures will reach into the low 70’s (~21 C ) so you’ll need a 5mm with hood or 7mm if you get cold. Check the air temperature if you are diving in the winter, even if the water is warm the air might be cold and you’ll want to bring a couple of towels or a boat coat. Check with the dive shop first if you need to hire tanks before you arrive. It is not like Asia where you turn up and everything is there waiting for you. If you are coming from outside of the states one of the most important thing to know is you will need a car to get anywhere in Florida - especially with dive equipment. All of these dive sites are far from each other and you may be required to meet at a different place each dive. There is no avoiding hiring a car while in Florida. Florida has some of the best shark diving in the USA most charters of which go from Jupiter/West Palm Beach area. Some of the sharks you can expect to see are Bull Sharks, Hammerheads, Tigers, Lemon sharks and more. 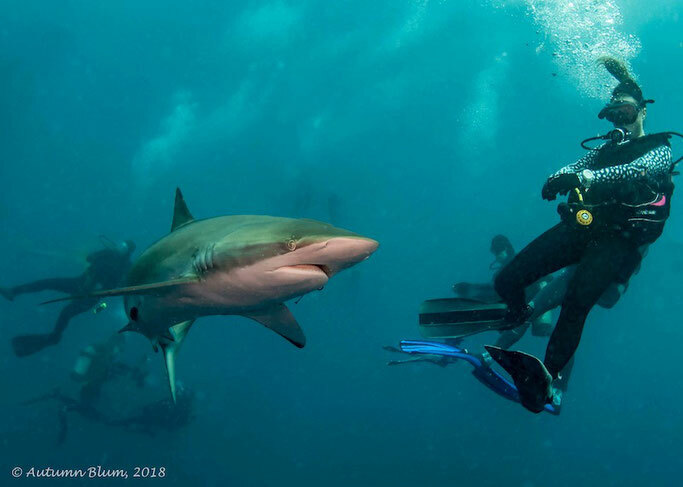 We've been shark diving in Florida a few times a wrote a whole guide on it here: Shark diving in Florida - what you need to know.